We started May 26thwith pancakes!! I was very excited because I seemed to have willed it as I had asked Scott if we’d have them. They are feeding us so well. In the morning, we worked on our poster for reef health. We found that our data weren’t super accurate as we had a small sample size. The live hard coral coverage was around 22.12% inside the MPA vs. 15.1% outside the MPA. Sea urchin health seemed to be comparable in both reefs. Given this, we concluded the MPA is more helpful for coral, but further studies would be needed to determine distinct differences between the two patch reefs. In the afternoon, we headed to the backreef off of our island. Basically, it’s about 2-4 feet of wading water with your face in the water. We had no idea what we were going to find! 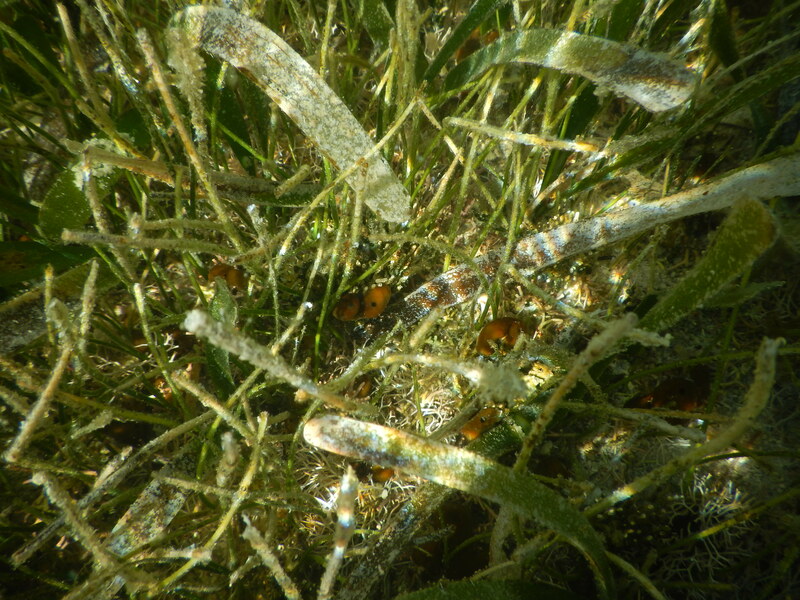 In the seagrass bed, I found some fire sponges as well as some thin rope sponge polyps. Then we reached the true backreef of rocks and coral polyps—a true nursery considering the large number of baby fish and coral! I didn’t see any sponges oddly enough once we got closer to the backreef. This is likely due to the high wave action, the sponge polyps get pushed away and farther back into the lagoon. We picked up shells, conchs, and other interesting creatures/plants along the way to observe back in the wet lab. Since the sponges were all rooted into the ground, I adopted the mollusks taxon. 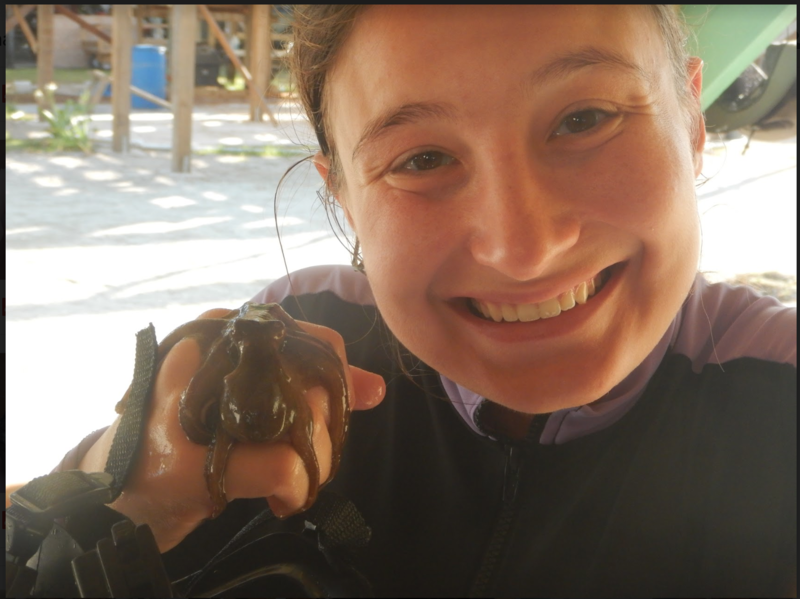 We found lots of Queen Conchs and snails, but the ultimate find was a baby octopus!! I believe that Herbert is a Caribbean Reef Octopus, and he was found in one of the old conch shells. We think there was a second one, but that one didn’t come out. Herbie inked on my when I tried to pick him up and move him. That was an experience I have never had before. Eventually, we let all our creatures return to the sea, including Herbert, who gave us an inking farewell. We had a really great time exploring the mysterious two feet below us! It was an important reminder of that there are so many creatures great and small that live in all parts of our world, and we should do our best to protect them.